Click here for more stories by Jeff Giles. 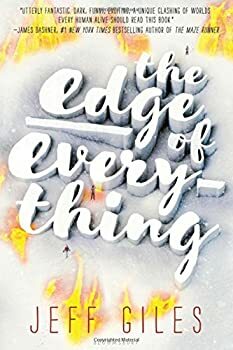 The Edge of Everything: For the perfect love, what would you be willing to lose? It's not been the best year for Zoe. What with her father’s death in a caving accident, her neighbour’s disappearance and then the fact that she is brutally attacked with her younger brother in a cabin in the woods, it's fair to say things have been better. But with the arrival of the mysterious paranormal bounty hunter “X”, everything is about to change.